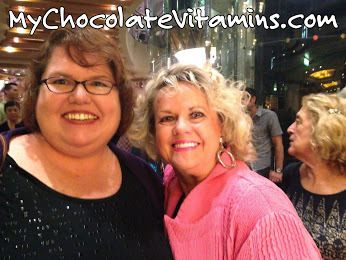 Can You Eat Chocolate If You Are A Diabetic? Those recently diagnosed with Type 1 or Type 2 Diabetes often assume they can no longer eat chocolate or sweets. There is actually a chocolate that was created by a diabetic to help with insulin resistance that tastes amazing. it is a high quality dark chocolate that has more antioxidants and flavanoids in three little pieces than what you would find in 8-10 servings of fruits and vegetables. In fact, the flavonoid and antioxidant content are listed on every piece. According to the American Diabetes Association, there are many myths when it comes to a diagnosis of Type 1 or Type 2 Diabetes. One such myth has to do with chocolate, my favorite food on the planet. Another has to do with the assumption that only people who are heavy will develop Type 2 Diabetes. “Myth: People with diabetes can’t eat sweets or chocolate. “Myth: If you are overweight or obese, you will eventually develop type 2 diabetes. avoid soda and other sugary foods and drinks. Controlling your blood sugar is key. That is why I am such a fan of the Beyond Healthy Chocolate Company chocolates. They were created by Jeanette Brooks, a diabetic looking to control her blood sugar. These chocolates are diabetic friendly, gluten free and sweetened with acai and blueberry. These chocolates don’t have the processed sugars you find in candy and are a high antioxidant superfood because of the antioixdants from the raw cacao. Healthy Chocolate Company Chocolates use a patented cold pressed method to keep in the antioxidants. Most chocolates are dutched and heated at very high temperatures which significantly lowers the antioxidant values in the chocolate. This is not the case with Healthy Chocolate Company chocolates which use a cold pressed method which does not heat the chocolates at high temperatures. Every piece of Beyond Healthy Chocolate Co. Chocolate lists the amount of antioxidants and flavonoids in each piece. Eating just three pieces a day, is well over the 8-10 servings of antioxidants in fruits and vegetables recommended by the USDA. Change Your Chocolate, Change Your Life. 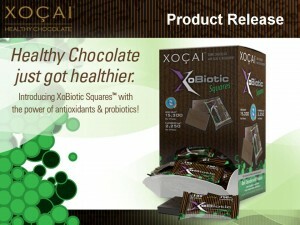 Order your Healthy Chocolate today at MyChocolateVitamins.com or call us at 941-216-5727. Simple changes matter, start with healthy chocolate today! PreviousHave You Tried The Dark Healthy Chocolate That Was Created By A Diabetic To Help With Insulin Resistance? NextWhat Kind Of Chocolate Do You Eat? Does It Really Matter How It’s Heated?